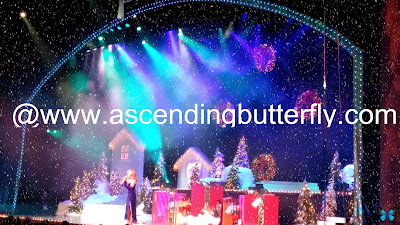 Ascending Butterfly: Wordless Wednesday: The see what #Christmas in #AtlanticCity looks like edition! Wordless Wednesday: The see what #Christmas in #AtlanticCity looks like edition! Above: The Tropicana Casino Atlantic City Holiday Laser Light Show every half hour in the Quarter! 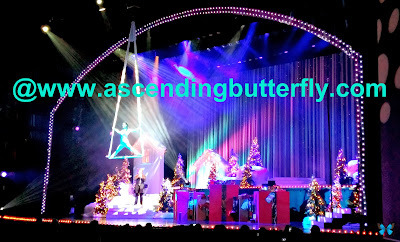 Below: The Tropicana Casino Atlantic City Holiday Extravaganza Show. I caught the last night of this show and thought I'd include some of my photo highlights! I'll make a pinterest board for this trip and that board will have more photos. Since my blog template won't let me make all the photos extra large, you can at least see them at full size on pinterest! MERRY CHRISTMAS BUTTERFLIES! I hope you are all having as much fun as I am! FTC Disclosure: This is NOT a sponsored post. 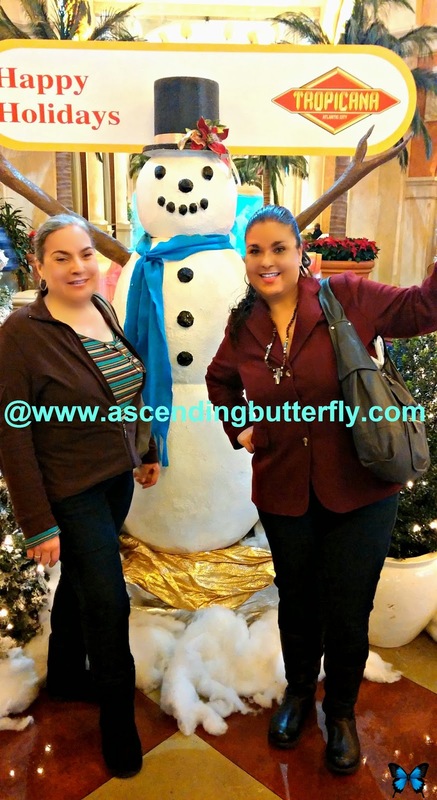 No compensation has been received to share my photos from my Atlantic City Experience, this was a personal trip, NOT a Press Junket, and all opinions are 100% my own. That's a very cool Christmas tree! OHHHHH ! very pretty ! !